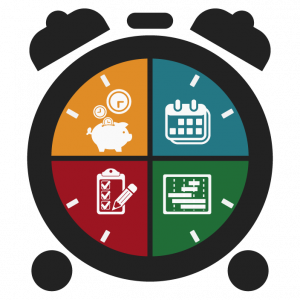 Time Management, The Ultimate Key to Success in College! The transition from high school to college is one of the biggest changes in a young person’s life. In high school, everything is broken up and scheduled to provide students with the best guidance in order to help them succeed. College, on the other hand, is a completely different story. Nobody cares if you decide to go to class, do the assigned readings or how you utilize your time. This is why time management is an essential skill that incoming college students must take very seriously. One of the best parts about college is the sense of freedom you have living alone and acting independently. But with this freedom comes great responsibility. The amount of free time you have in college is much greater than in high school. This is where you must stay disciplined and get your work done, regardless of the other fun things you would rather be doing. One of the worst possible feelings is falling behind in a class, and I can assure you that in college this can happen much quicker than you think. In order to make sure you stay on top of your game, time management must become a top priority. I find it helpful to set aside a few hours each day to go to the library and get my work done. This way, you don’t have to cram for tests or pull all-nighters just to catch up on material you should have learned weeks ago. So, to get the most out of your college experience, remember to be responsible and manage your time effectively–and I promise you will still find time to have fun.